Alchemy War is a new free android game in which you merge objects to survive. Think, imagine mixes, try and discover more and more items, more powerful and useful. Perseverance will be your most important skill to get ready for the FIGHT! Click on 2 objects to merge them. You can change your selected objects by clicking on them. You can replace an object with the change button. If you have a cross, by clicking on it, you can have a random object. For a fight, you have to choose an object to attack and a second to defend. Each object has different power (represented by dice) for attack and defense. These values are secret. A fight has 3 rounds where values for your attack and your defense and for your opponent) are generated depending on objects. 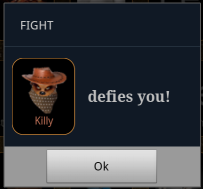 You can save only after a winning fight! 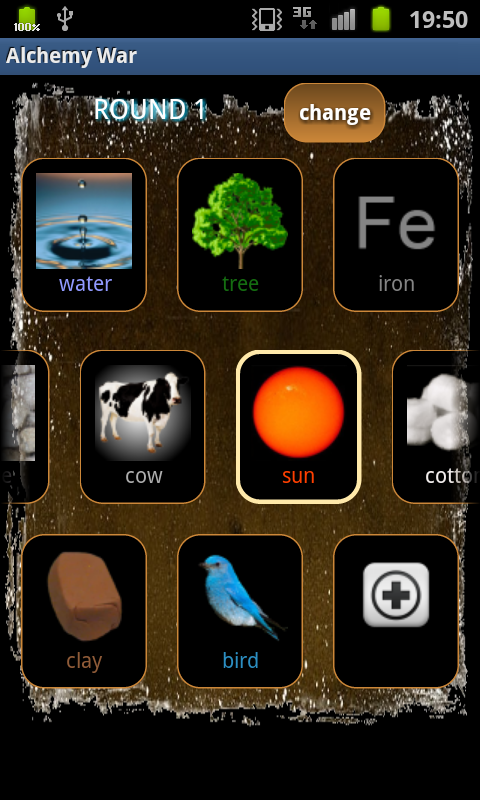 version 1.0 : 51 objects. 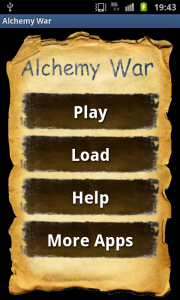 # Next article on Alchemy War: Alchemy War upgrade 1.1. 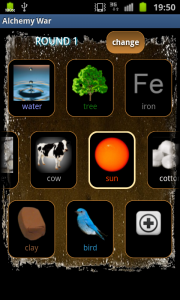 This entry was posted in Apps and tagged alchemy, alchemy war, android game, application, merge, mix by WakeUp Sun. Bookmark the permalink.